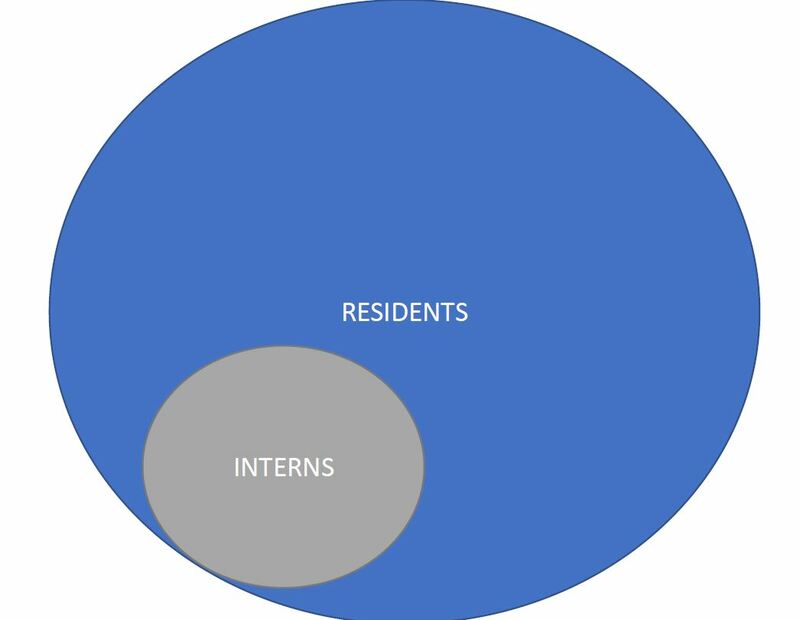 The journey through second year of residency is an interesting one. As I’ve mentioned before, we are tasked with two major, new responsibilities: performing most procedures and seeing a much greater volume of patients. We’ve all gone through a substantial adjustment period. It’s been hard. The title will make sense later. Trust me. As I’ve mentioned before, I split most of my residency training time between two hospitals: a large tertiary care center that has all the bells and whistles, and an understaffed county hospital that on occasion struggles to perform basic functions of a healthcare facility, such as checking routine vital signs or (spoiler alert) admitting patients. The new interns started their orientation this week. I made that diagram. Aren’t you impressed? As I wrote last week, I am on a surgical service, trauma, at the moment. And my day is governed by, and revolves around, poop. Am I still a medical student? I am legitimately no longer sure. I began this blog to chronicle the funny highs and funnier lows of working my way through a postbaccalaureate program, a year of science classes designed to finish all the requirements for med school at once. I continued this through all four years of medical school. Now that I'm a resident, this blog revolves around the humorous, twisty road toward the conclusion of my training. I promise not to complain too much.